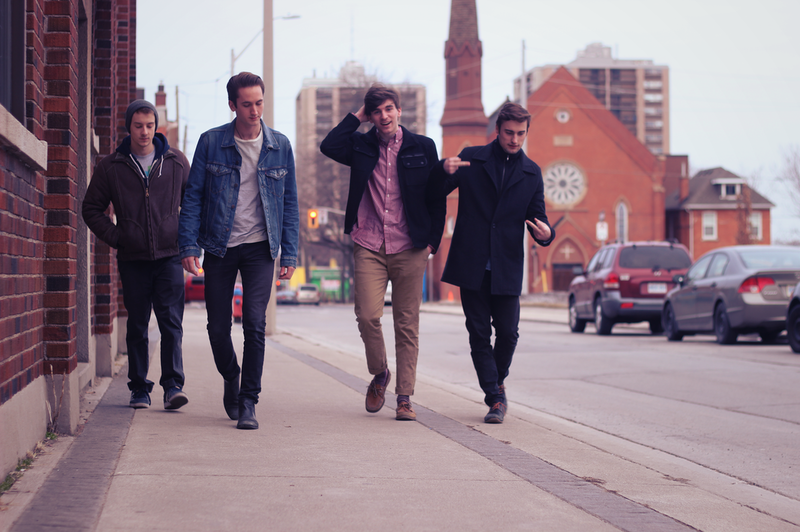 The Bandicoots is a Canadian band, from Hamilton, comprised of Nicolai Kozel (lead guitar), Andrew Parkinson (drums), Lorant Polya (bass), Justin Ross (vocals/rhythm guitar), that provides a brit indie style. “Could You Get Me To Tomorrow?” is the second single of our second EP “Quarters At The Penny-Arcade” that was recorded at Threshold Studio’s with Michael Keire (Dirty Nil, Wildlife, Dark Mean), and mixed by Brian Lucey (The Pack AD, The Black Keys, Arctic Monkeys, Dr. Dog). The new tune, recorded at Threshold Studio as well, is a lazy tempo track…the sleezy guitar solo “wasn’t intentional, although fully welcomed”. This gives you the flavor and the mood of those talented guys. Keep them under consideration.